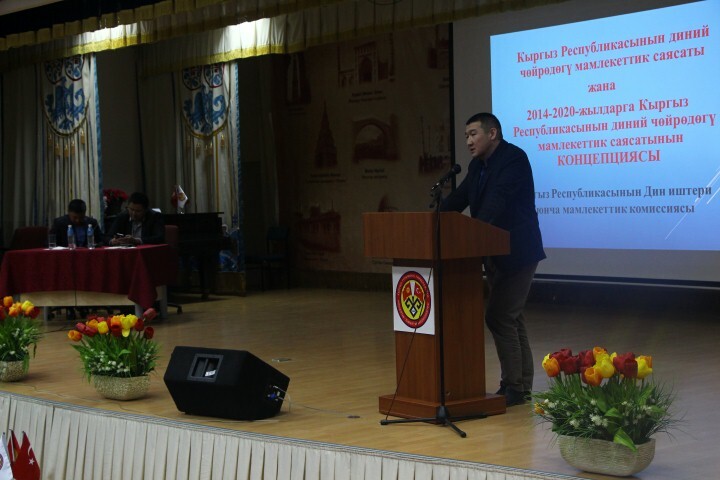 On April 4 of this year a seminar entitled “Counteracting Religious Extremism, Prevention of Terrorism and Inter-Ethnic Conflicts” was held. 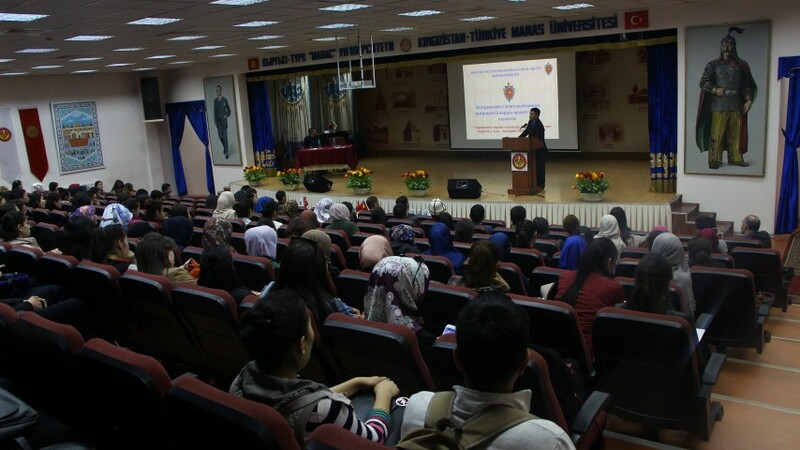 The seminar was attended by the teaching staff and students of the University. 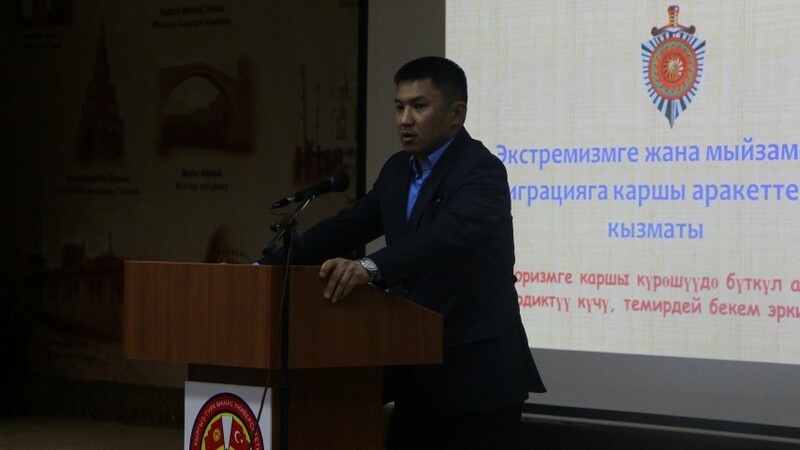 The Senior expert of the Muslim Spiritual Authority, Zamir Tursunbayev, and the Major of the Main Directorate of Militia of the Ministry of Internal Affairs, Aibek Zhumaliyev, gave detailed information on terrorist acts in the country and across the globe, important nuances of preventing inter-ethnic conflicts. 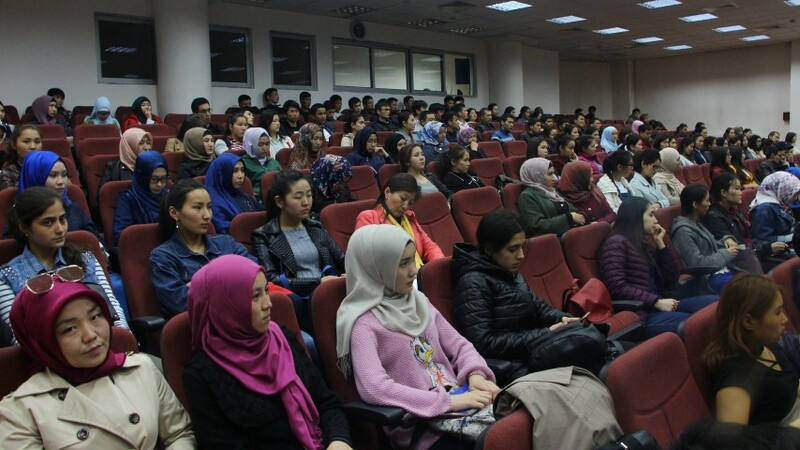 The purpose of the seminar was to explain extremism, terrorism, prevention of inter-ethnic conflicts, and the significance of the topics mentioned to students in the right way. At the end of the event the students received answers to their questions. The event had been organized by the Branch of Students and Graduates Affairs.